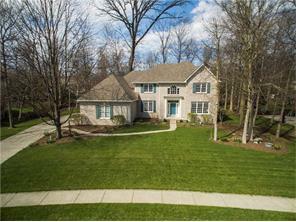 Distinguished Avian Glen home on wooded lot! Dramatic 2 Story foyer welcomes you into this elegant home featuring: formal living and dining rooms. Family room has custom built-in shelves, 5th bdrm (potential in-law), full bath, laundry room, custom updated gourmet kitchen & bright sun room offering gorgeous views of the backyard. Owner’s suite features grand walk-in closet & stylish bath, additional bedrooms have walk in closets, guest bath & jack/jill bath. Finished basement perfect for entertaining. walk-in attic for additional storage. Must see this amazing home.